Gaining your full licence is easy if you obey the road rules however, if you commit offences or get disqualified, things can become more complicated and obtaining your full licence can be delayed. If you are disqualified from driving you may also have your licence or permit cancelled. Disqualification means you are disqualified from holding or obtaining a licence or permit for a period of time. Cancellation of a licence or a permit is an additional penalty to disqualification and means that, at the end of the disqualification period, you must apply for a new licence or permit. If your licence or permit is cancelled the unused portion is lost. The Motor Vehicles Regulations specifically exclude a refund on the unused portion, as it is part of the penalty. A licence may also be suspended as a result of non payment of outstanding fines. The following is intended as a brief overview of what happens if you commit offences or are disqualified on your learner's permit or provisional licence. It is recommended you read this section carefully so you are aware of the significant consequences of breaking the law whilst driving. The following section applies to licences gained on, or after, 28 July 2014. If you obtained a licence before that date your individual circumstances may vary. Please telephone 13 10 84 for more details. You will lose your licence immediately, if you are caught drink driving (.08 or higher), refusing or failing to comply with a breath test, blood test, drug test or speeding excessively (i.e. 45 km/h or more over the speed limit). You can also be disqualified from from driving if you are convicted in court of a graffiti related offence. Your vehicle's registration may also be suspended and your vehicle impounded. If you're disqualified on your learner's permit you will have to sit out your disqualification.For car learner's permits you will have to complete the logbook requirement of 75 hours of supervised driving. The hours completed before your disqualification can be included. If you're under 25 years you will have to hold your learner's permit for a minimum of 12 months and if you're 25 years of older you will have to hold your learner's permit for a total of 6 months. This period includes the time you held your learner's permit before you were disqualified but you must hold your permit continuously for at least 3 months after the disqualification. If you committed a Serious Disqualification Offence you must sit out your disqualification. When returning to drive after the disqualification you must hold your learner's permit for three months and pass another Hazard Perception Test and pass another practical driving assessment. Holders of a motorcycle class only must pass another Advanced RiderSafe course. You are not entitled to enter into a Safer Driver Agreement or lodge an appeal against the disqualification. If you're disqualified for an offence committed while you are on your P1 licence you may be able to choose to sit out the disqualification, enter into a Safer Driver Agreement or appeal the disqualification to the Court. However if you have either entered into a Safer Driver Agreement or have been disqualified for breaching a Safer Driver Agreement in the previous 5 years, or have successfully appealed a disqualification in the Court within the previous 5 years you must sit out the disqualification. If you sit out the disqualification you must reapply for a provisional licence at the end of your disqualification period. A new provisional licence will be issued for 3 years, 1 year on P1 and 2 years on P2. If you've successfully appealed to the Court or entered into a Safer Driver Agreement, a new provisional licence will be issued for 3 years, 1 year on P1 and 2 years on P2. If you're disqualified for an offence committed while you are on your P2 licence you may be able to choose to sit out the disqualification, enter into a Safer Drivers Agreement or appeal the disqualification to the Court. However if you either entered into a Safer Driver Agreement or have been disqualified for breaching a safer driver agreement in the previous 5 years, or have successfully appealed a disqualification in the Court within the previous 5 years you must sit out the disqualification. If you've sat out the disqualification (car or motorbike) you will be issued with a P2 licence for 2 years. If you've successfully appealed to the Court or you entered into a Safer Driver Agreement you will be issued with a P2 licence for 2 years. You may be able to appeal to the Court but you are not eligible for a Safer Driver Agreement. Remember if you breach a condition of your provisional licence or incur four demerit points after entering into a Safer Driver Agreement or a successful appeal, or after returning to driving after sitting out a disqualification you will be disqualified for 12 months. If you entered into a Safer Driver Agreement of successfully appealed a disqualification within the previous 5 years you will not be eligible to another appeal to the Court or another Safer Driver Agreement. Think about how losing your licence will affect your employment, your chances of employment and the impact it will have on your social life. Fines apply for most offences and can be several hundred dollars for each offence, sometimes thousands of dollars. For instance, if you're on a learner's permit of P1 licence and you're caught exceeding the speed limit by 11 km/h and you're also not displaying your L or P plates the fines will total over a thousand dollars. electing to be of 'good behaviour' for a period of 12 months. If you are the current holder of a licence to make an application to enter into a 'good behaviour' option, you must first acknowledge receipt of your disqualification notice by attending a Customer Service Centre or Australia Post office, providing identification and paying an administrative fee. At the time of acknowledgement you will have the opportunity to nominate for the 'good behaviour' option providing you are eligible. If you intend to elect the 'good behaviour' option you must do so within 21 days of the Notice issue date (for a first Notice) or within 21 days of the date of service (for a second Notice that is issued by a Sheriff's Officer). Alternatively, you may attend a Service SA customer service centre within 28 days of the Notice Issue date or within 28 days of the date of service. If you choose the 'good behaviour' option, you must not accumulate 2 or more demerit points during the 12 months that your licence is subject to the Good Behaviour Condition otherwise you will be disqualified for twice the original disqualification period. There is no right of appeal against a disqualification imposed as a result of demerit points or breach of the 'good behaviour' option. In addition, any disqualification for demerit points takes effect at the end of any existing or Court-imposed disqualification. If a provisional driver breaches their licence conditions or accumulates four or more demerit points they may choose to enter into a Safer Driver Agreement in lieu of serving the six month disqualification period unless it is a serious disqualification offence. 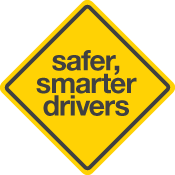 You will not be eligible to apply for another Safer Driver Agreement for the next five years. Any offence committed by the licence holder who has previously been disqualified in this State. A provisional driver who is disqualified for a serious disqualification offence may appeal to the Court on the basis of 'severe and unusual hardship'. The driver's previous driving history will be considered. subsequent offences - up to two years imprisonment. must not accumulate two or more demerit points during the probationary licence period. may appeal to the court against the disqualification (only one appeal in a five year period is allowed). A mandatory alcohol interlock scheme operates in South Australia. This means that drivers who commit a "serious drink driving offence" will be required to fit an alcohol interlock device to a vehicle they have nominated at the end of their licence disqualification for a period equal to the disqualification or a maximum of 3 years, whichever is lesser. refusing to provide a sample of breath or blood for the purpose of alcohol testing. Under the Alcohol Interlock Scheme drivers are responsible for all costs relating to installation, maintenance and servicing of the interlock device. It is unlawful to drive a motor vehicle on a road or road related area without holding a current driver's licence for that class of vehicle. Maximum fine of $5,000 or one year imprisonment.